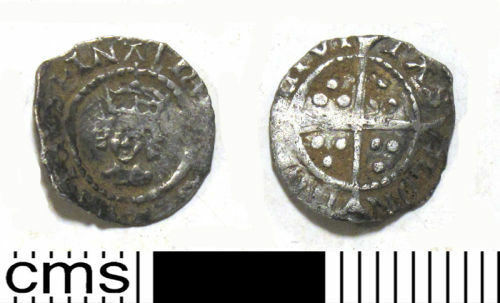 Silver halfpenny of Henry VIII, 2nd coinage, 1526-44, minted in London. North no. 1815.